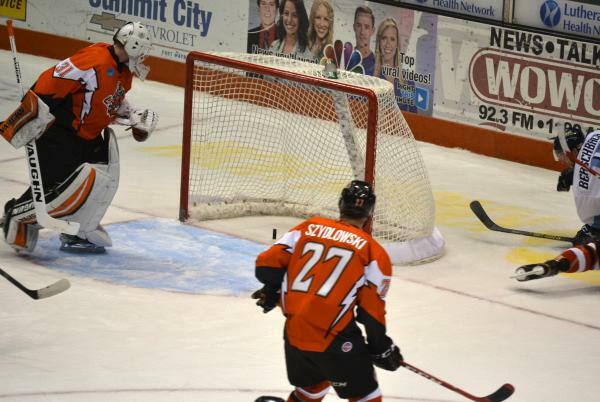 The original shot was blocked by Komets defenseman James Martin, popping the puck into the air. 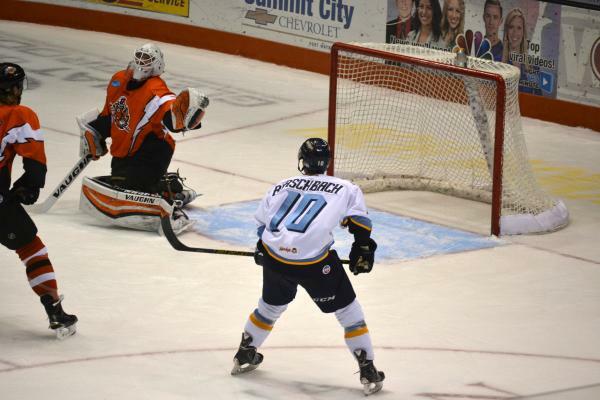 Then Toledo's Shane Berschbach knocked it down. 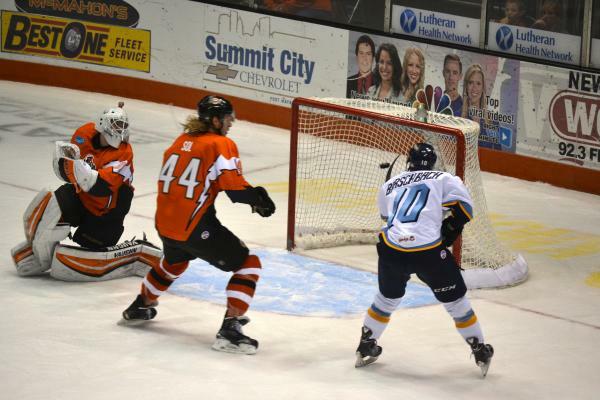 Komets defenseman Cody Sol tried to knock Berschbach off the play. 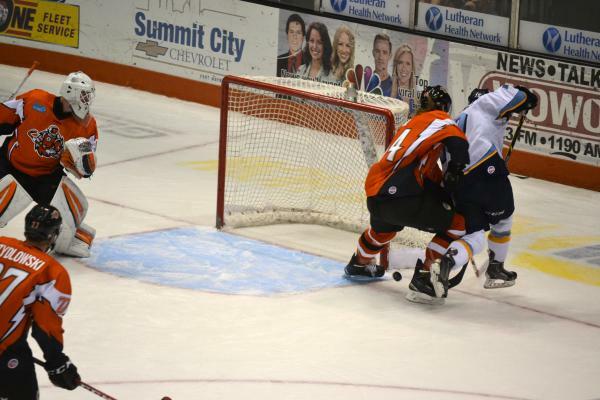 But Berschbach still managed to get his stick on the puck and poke it in.